Make a card in under 10 minutes? WOW! But I had to try it. I went with a very easy layout and minimal stamping. I adhered my white CS to my grid mat first so I could easily line everything up without measuring. I started with the thanks and worked out each way from there. I started with the Thanks up too high so when I got to the bottom, I created a row of hearts. I had already planned on incorporating them but not this way. 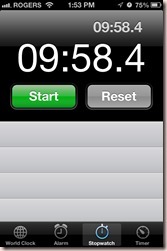 Even with a 10 minute card, plans can change in a second, LITERALLY! I’m entering this in the Simon Says Stamp challenge to use hearts. Need Proof? It was a close one! That was close! Awesome card- thanks for playing along in the 10 minute craft dash challenge! Woohoo! 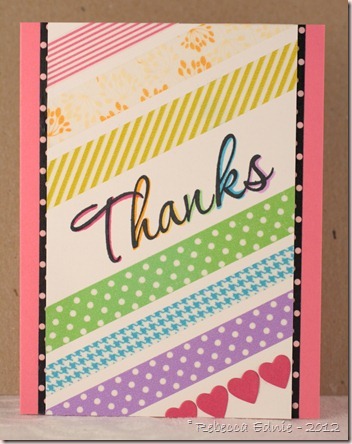 This card is adorable- love all of that washi tape!So glad that you could join us in the 10 Minute Craft Dash. Hope to see you for the next one! Awesome design on this and great colors! Thanks so much for playing along with us over at the Simon Says Stamp Challenge Blog!